Which Blinds Are The Best For Winter? With winter underway, you are probably feeling the cold and cranking the heating up. However, with a considerable amount of heat lost through your windows, you could be spending unnecessary amounts on your bills. Whilst thicker glazing will help reduce heat loss and draughts, a less expensive alternative which can still make a positive contribution is new, energy efficient blinds. Let’s take a look at some of the best kinds of blind for keeping warm in winter. Roman blinds are a stylish option and also a popular choice for keeping a room cosy. Romans are available in a variety of fabrics, including thick materials – ideal for keeping heat in a room – and specially designed thermal materials. What’s more, the Roman style also lends itself to layering two blinds on the same window which offers both a luxurious aesthetic and improved insulation. Duette blinds – also known as honeycomb blinds – are specially designed to boost the thermal efficiency of your windows. 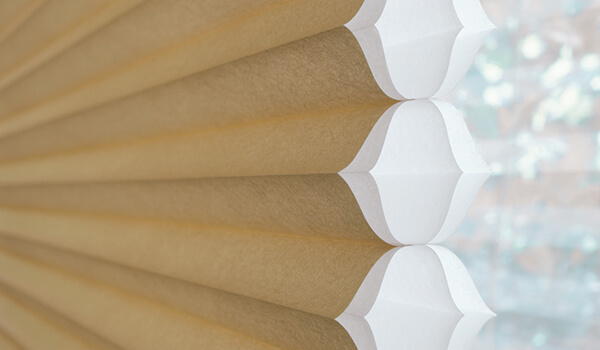 The blinds trap small pockets of air in their unique honeycomb design which creates an insulating layer between your room and the window. This works to prevent heat loss in winter and also heat gain in summer. Thermal roller blinds are a kind of roller blind which has been made from a particularly insulating fabric. They are like a step up from blackout roller blinds which are also made from a thick, mildly insulating material. The thermal material may come in a single layer or multiple layers back-to-back, depending on your requirements. To make sure this kind of blind is as effective as possible, you should opt for a made to measure option so as to reduce the gaps around the blind which draughts could still creep through. 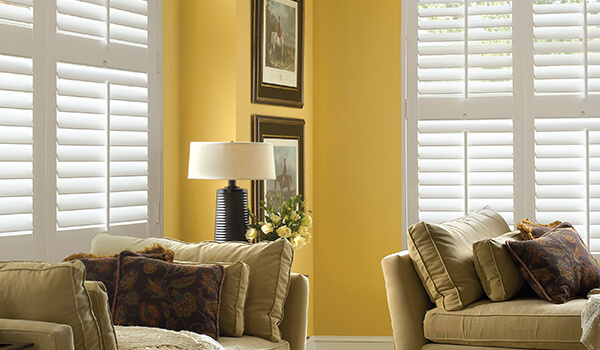 Although not strictly a blind, wooden shutters are indeed a good insulating window covering. The thickness of the wood slats provides a good level of insulation, particularly when the slats are fully closed. What makes shutters better insulators than, say, wooden Venetian blinds is that they are affixed to the window frame, leaving no air gap for cold draughts and, therefore, providing a much better insulating window covering. Leamington Blinds offer an excellent selection of high-quality blinds for customers in and around the Leamington Spa area. Our experienced team can offer you professional advice and guidance when it comes to choosing the ideal window covering for your needs. With our extensive range, which spans many styles, materials and colours, we have something to meet all interior decor and rooms of the home. Once you’ve found your perfect blinds, our skilled team can also carry out a professional fitting for you, ensuring your new blinds function smoothly. If you have any enquiries, contact our helpful team today.